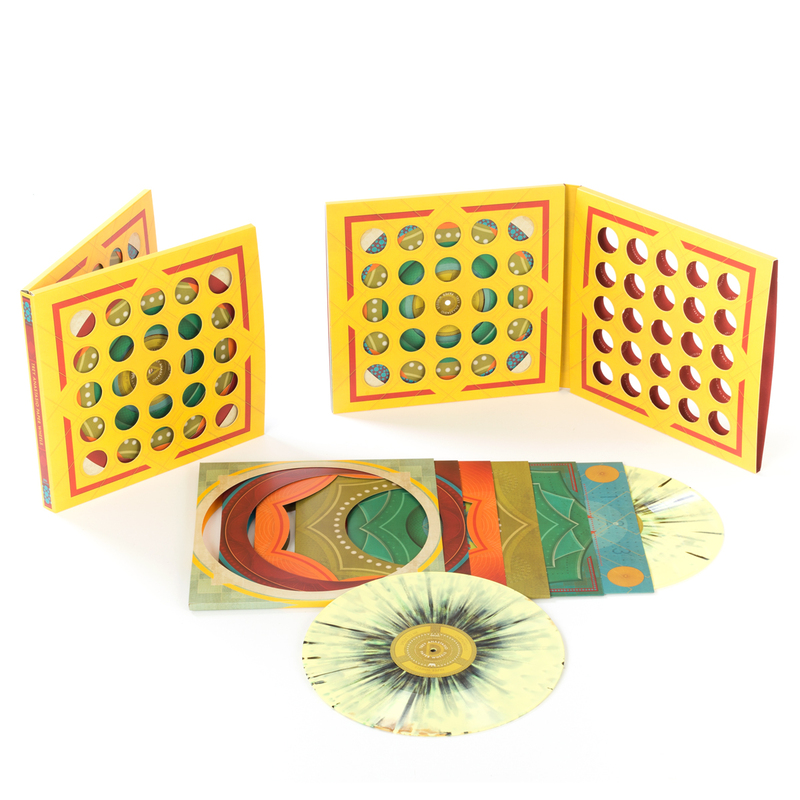 The deluxe limited edition is comprised of 180 gram and 45 RPM 2x LP splatter vinyl and a die cut gatefold package with six unique sleeves. 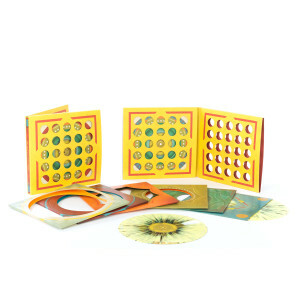 Includes download card for an MP3 version of the album. The deluxe edition of this album deserves 5 stars without question. 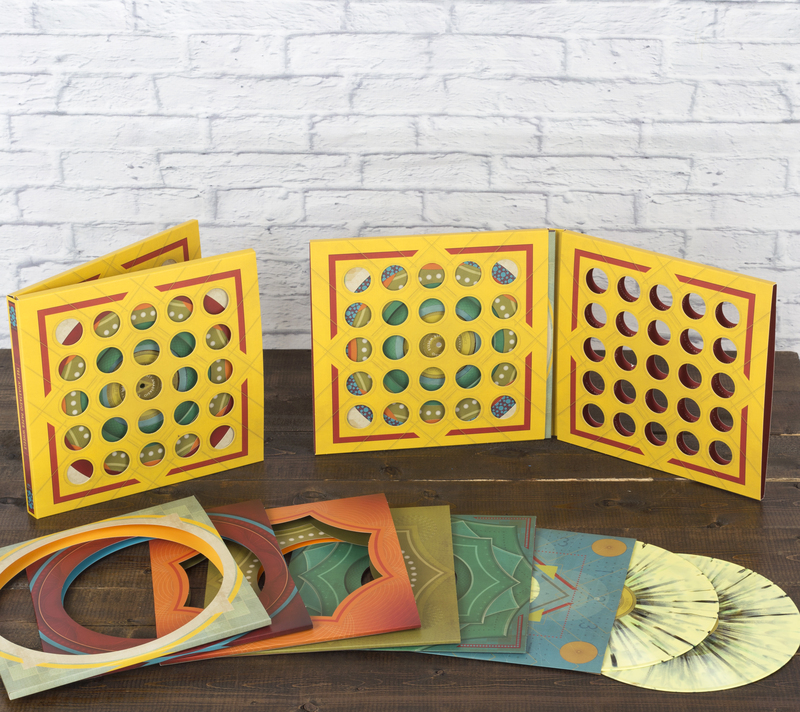 The diecut outer sleeve and multiple inner sleeves are tremendously creative and fun, the printing is beautiful and the overall design, fascinating layout and attention to detail are top notch! The text swirling around the diecut holes on the inside of the outer sleeve are a fun little detail, and the splatter vinyl is gorgeous! Unfortunately, I'm leaving 3 stars due to the fact that it took 4 attempts to get a copy of this beautiful record to me without damage. Between poor packaging that left the outer sleeves dinged, dented, damaged or seam split and the download card being packed IN AGAINST THE RECORD leaving the vinyl surface visibly and audibly scratched on 3 of the 4 copies sent, it was a ridiculous struggle to receive an undamaged copy of this beautiful album. 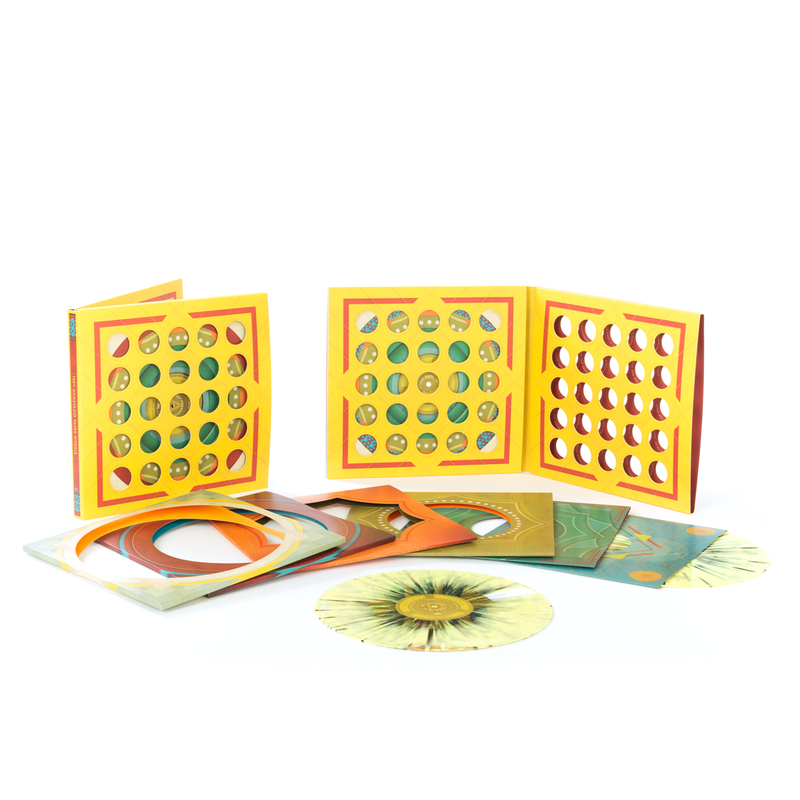 The tremendous thought and effort that went into the creation of this beautiful package made it that much more frustrating every time a copy turned up damaged in another easily avoidable way. Thankfully, between the 4 copies sent, I finally have a single copy that is reasonably unscathed. Hopefully Musictoday/DeliveryAgent have learned from this and will endeavour to do better in the future. At first, sight unseen, I thought the price for the limited edition vinyl was a little steep. After receiving my impression was reversed. This is the coolest packaged and coolest looking vinyl I have in my record collection. I am almost hesitant to play it in order to keep it in mint condition. Have been listening to the download instead. 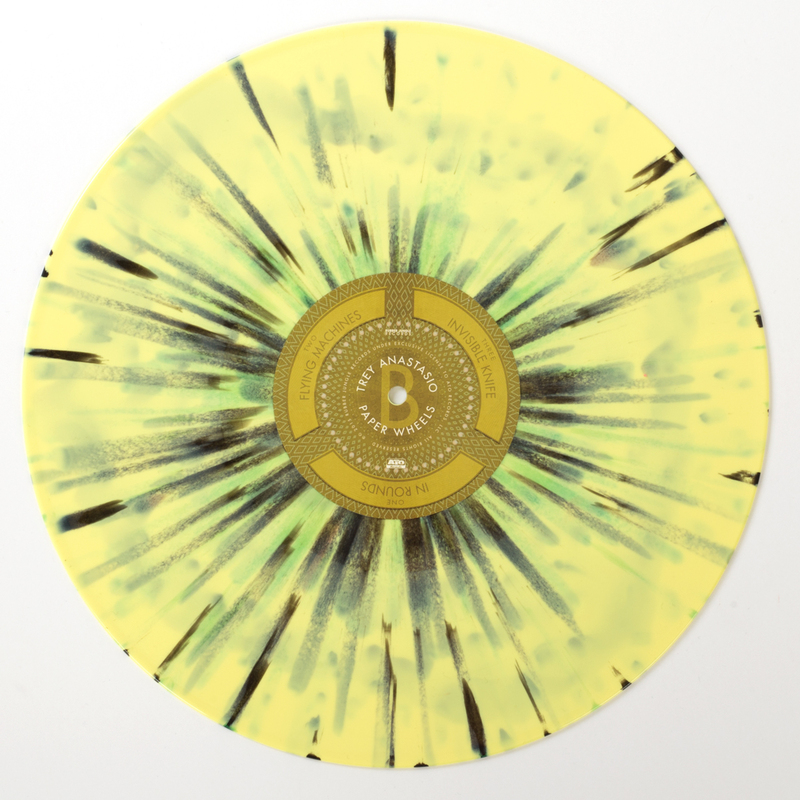 Well worth the price for anyone that is into vinyl. Way to go TAB...the album is fantastic from start to finish. 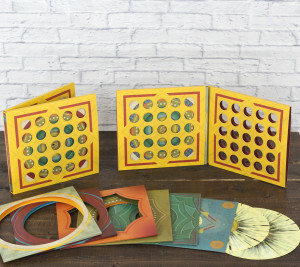 The music and the packaging on this box set was AMAZING, but whoever is making these records for you guys is REALLY dropping the ball. There are issues with skips on your records again as there have been on a lot of your previous records. I bought 2 copies of Paper Wheels and they both skip horribly only on side D. It starts skipping on the first track, again on the second, and then half way thru the third track the record skips and won't even play further. You guys are charging top dollar for these records and I've had problems with more than half that I've purchased overall. I have no idea what 180 g vinyl means except that it probably doesn't play all the way thru. Better luck next time! It's obvious that a lot of love went into this disc. While the packaging is beautiful, it is a bit cumbersome. The extra sleeves are visually pleasing, but I don't see the real purpose of them, and have concerns about wear over time. That aside, this is a great record. The wax is spectacular. The sound, color, and of course - the playing. It is a warm record that quickly feels familiar and new at the same time. 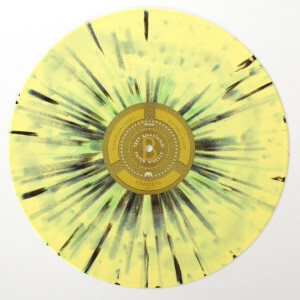 I could have skipped the intricacies of the sleeves and left it as a double disc on splattered wax to keep the price more in line with the current market. It still would have been beautiful. I also wish the credits were more easily read - I'd love to know the details of the whole thing. It's a record I'll handle with care and store properly, but will probably listen to the download more than the records to avoid damaging the sleeves. Keep up the good work - I certainly appreciate risk taking and doing something that I've never seen before, but I'd keep the price point in mind along with it being more user friendly. this album rocks! 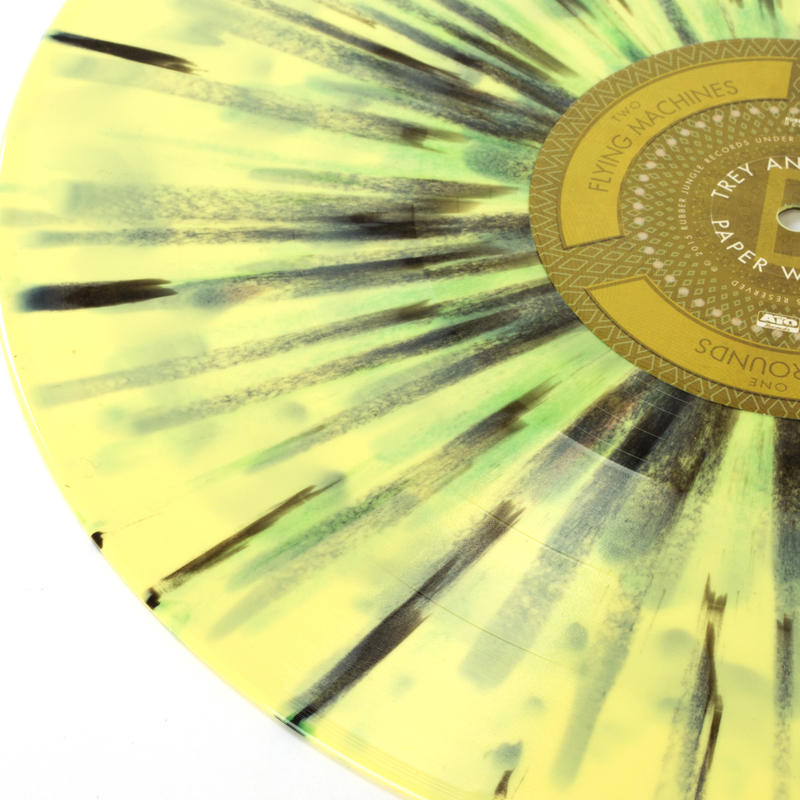 the Vinyl is in an amazing package and is on a beautiful wax design as well. NEVER has a really nice slow jam at the end of it that is absent of a lot of studio Phish albums... BOUNCE has a lot of nice harmonies and then it explodes into this awesome jam. IN ROUNDS is the funk track on the album and it NAILS it.... (i can only imagine what Mike Gordon would do to that bass line).... this track has a pretty nice and lose organ solo and horn section at the end of the jam- If i just heard this album and had no idea of their past tunes, i give it a 5 maybe even a 6.... but the reason i gave it only 4 stars is mostly because of what is missing. The Trey albums of the past have huge and tight horn sections, think WALL OF SOUND horn sections... the song IN ROUNDS you can hear what that tight horn section would have played, but the sound comes from vocal harmonies instead of that tight horn section. The Trombone is great on the track, but i feel like its somewhat lonely... missing a lot more horns to play along with it. Its a great song, my favorite on the album, which is why i'm probably most critical of it. I think if i had never heard all the horns on his Self Titled album with Alive Again and Push on Til the Day, i wouldnt be as critical as i am being right now.... and i know bands change their sound throughout the life of the musicians in the band, but i just miss those tight horn sections that filled the stage when Trey first started to tour. all in all this is a great great album... Congrats to Trey and his band!! The album is great and the packaging is definitely unique! I was slightly disappointed that the album did not come with a download card, especially since I paid $70. Aside from that, I am extremely thrilled with the new album. Trey seems to be having the time of his life right now and it is truly reflected in his music.